Novel end mills with micro-scale structures have recently been developed to promote cutting performances with cutting forces, chip controls, and tool wears. However, the surface profiles are formed corresponding to the structures on the tool edges. The surface finishes, therefore, are worse than those of cuttings with straight edges of the end mills. This paper discusses surface profiles in milling with the structured tool and the cutter axis inclination. An analytical model is presented to simulate the surface profiles for the tool edge shape, the cutting parameters and the cutter axis inclination. Because the surface profiles are controlled in the simulation, the optimum cutting parameters are determined to reduce the surface roughness. Micro-scale nicks were fabricated on polycrystalline diamond edges with a laser machine tool. The sizes and pitches of the nicks were controlled by the laser processing parameters. The cutting tests were conducted to measure the surface profiles. The presented surface profile model was validated by comparing the simulated and the measured surface roughnesses. The surface finish can be improved in milling with the cutter axis inclination in the optimum cutting parameters. F. Uchiyama, A. Tsuboi, and T. Matsumura, “Surface Profile Analysis in Milling with Structured Tool,” Int. J. Automation Technol., Vol.13, No.1, pp. 101-108, 2019. N. Kawasegi, H. Sugimori, H. Morimoto, N. Morita, and I. Hori, “Development of Cutting Tools with Microscale and Nanoscale Textures to Improve Frictional Behavior,” Precision Engineering, Vol.33, pp. 248-254, 2009. D. Jianxin, W. Ze, L. Yunsong, Q. Ting, and C Jie, “Performance of Carbide Tools with Textured Rake-Face Filled with Solid Lubricants in Dry Cutting Processes,” Int. J. of Refractory Metals and Hard Materials, Vol.30, Issue 1, pp. 164-172, 2012. T. Sugihara and T. Enomoto, “Development of a cutting tool with a nano/micro-textured surface – Improvement of anti-adhesive effect by considering the texture patterns,” Precision Engineering, Vol.33, No.4, pp. 425-429, 2009. T. Enomoto and T. Sugihara, “Improving anti-adhesive properties of cutting tool surfaces by nano-/micro-textures,” Annals of the CIRP, Vol.59, pp. 597-600, 2010. T. Sugihara and T. Enomoto, “Improving anti-adhesion in aluminum alloy cutting by micro stripe texture,” Precision Engineering, Vol.36, No.2, pp. 229-237, 2012. T. Enomoto, T. Sugihara, S. Yukinaga, K. Hirose, and U. Satake, “Highly wear-resistant cutting tools with textured surfaces in steel cutting,” Annals of the CIRP, Vol.61, pp. 571-574, 2012. T. Sugihara and T. Enomoto, “Crater and frank wear resistance of cutting tools having micro textured surfaces,” Precision Engineering, Vol.37, No.4, pp. 888-896, 2013. Z. Fang and T. Obikawa, “Cooling Performance of Micro-Texture at the Tool Flank Face under High Pressure Jet Coolant Assistance,” Precision Engineering, Vol.49, pp. 41-51, 2017. T. Matsumura and E. Usui, “Predictive Cutting Force Model in Complex-shaped End Milling Based on Minimum Cutting Energy,” Int. J. of Machine Tools and Manufacture, Vol.50, No.5, pp. 458-466, 2010. E. Uhlmann, F. Sammler, S. Richarz, F. Heitmüller, and M. Bilz, “Machining of Carbon Fibre Reinforced Plastics,” Procedia CIRP, Vol.24, pp. 19-24, 2014. P. G. Benardos and G. C. Vosniakos, “Predicting Surface Roughness in Machining: A Review,” Int. 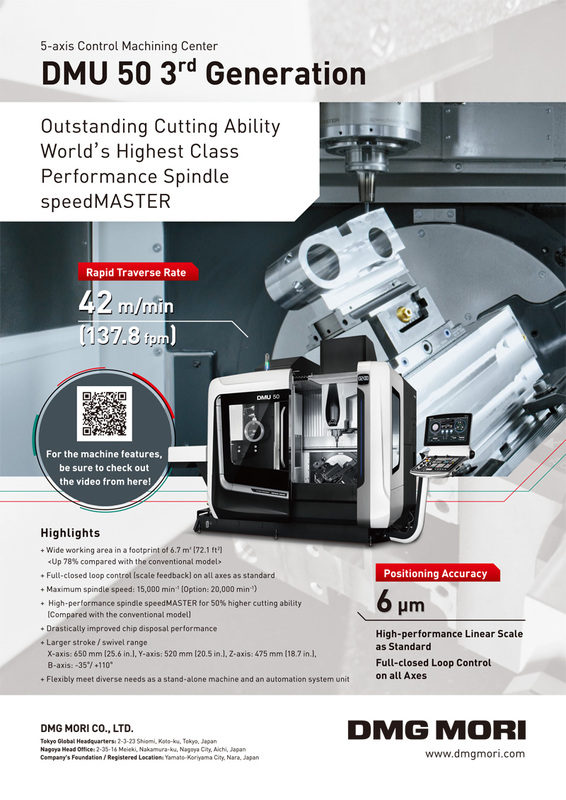 J. of Machine Tools and Manufacture, Vol.43, Issue 8, pp. 833-844, 2003. S. J. Zhang, S. To, S. J. Wang, and Z. W. Zhu, “A Review of Surface Roughness Generation in Ultra-precision Machining,” Int. J. of Machine Tools and Manufacture, Vol.91, pp. 76-95, 2015. J. P. Costes, “A Predictive Surface Profile Model for Turning Based on Spectral Analysis,” J. of Materials Processing Technology, Vol.213, Issue 1, pp. 94-100, 2013. C. Felhő, B. Karpuschewski, and J Kundrák, “Surface Roughness Modelling in Face Milling,” Procedia CIRP, Vol.31, pp. 136-141, 2015. A. A. G. Bruzzone, H. L. Costa, P. M. Lonardo, and D. A. Lucca, “Advances in Engineered Surfaces for Functional Performance,” CIRP Annals – Manufacturing Technology, Vol.57, pp. 750-769, 2008. M. Yoshino, T. Matsumura, N. Umehara, Y. Akagami, S. Aravindan, and T. Ohno, “Engineering surface and development of a new DNA micro array chip,” Wear, Vol.260, pp. 274-286, 2006. D. P. Wan, B. K. Chen, Y. M. Shao, S. L. Wanga, and D. J. Hu, “Microstructure and Mechanical Characteristics of Laser Coating-Texturing Alloying Dimples,” Applied Surface Science, Vol.255, pp. 3251-3256, 2008. X. Luo, Y. Wang, P. Chen, and L. Zhou, “Investigation of CO2 Laser Beam Modulation by Rotating Polygon, Optics and Lasers in Engineering,” Vol.49, pp. 132-136, 2011. Y. Q. Wang, G. F. Wu, Q. G. Han, L. Fang, and S. R. Ge, “Tribological Properties of Surface Dimple-Textured by Pellet-Pressing,” Procedia Earth and Planetary Science 1, pp. 1513-1518, 2009. S. Kogusu, T. Ishimatsu, and Y. Ougiya, “Rapid Generation of Surface Dimples Using End Milling,” Int. J. Automation Technol., Vol.1, No.1, pp. 45-51, 2007. T. Matsumura, S. Takahashi, N. Nagase, and Y. Musha, “Micro dimple milling for structured surface,” Advanced Materials Research Vols.966-967, pp. 142-151, 2014. T. Matsumura and S. Takahashi, “Micro Dimple Milling on Cylinder Surfaces,” J. of Manufacturing Processes, Vol.14, pp. 135-140, 2012.